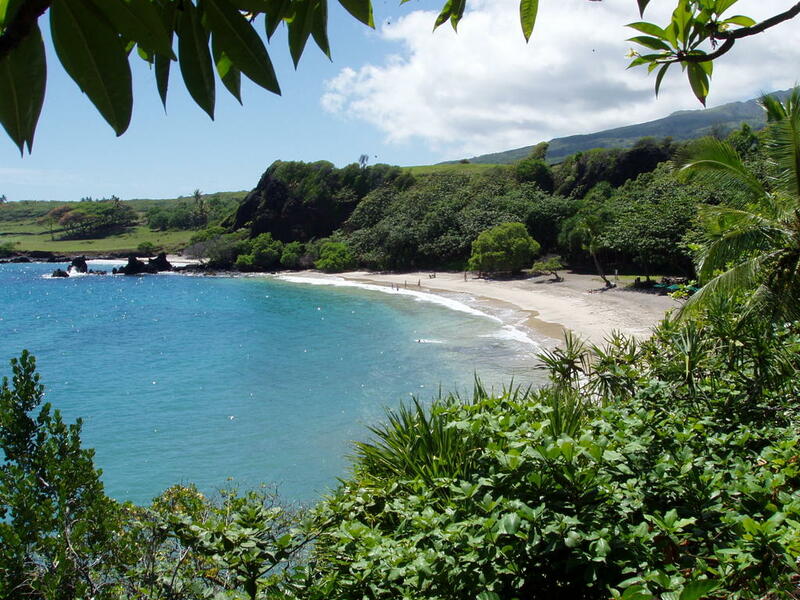 The Road to Hana: Why "The Road to Hana"? Hana (HAH-nah) is the name of our future daughter. The name comes from a beautiful little town on the island of Maui, Hawaii where we spent our honeymoon in 2003. The 52 mile road leading to Hana is narrow with many sharp bends and blind curves. It is surrounded with forest, runs along the coast and is dotted with bridges and waterfalls along the way, with the smell of fresh guava in the air. The town of Hana is small and simple. We stayed in a sea ranch cottage at the Hotel Hana-Maui overlooking the ocean. Plumeria was blooming everywhere. The "secret" red beach and Hamoa beach were something out of a dream. It was absolutely amazing and we can't wait to go back. 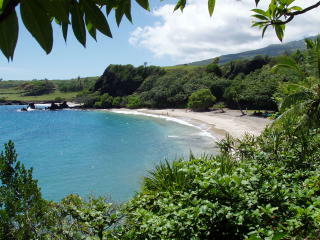 Here's a photo we took of Hamoa beach. We were so enchanted with the beauty and serenity of the area that we decided right then that our first daughter would be named Hana. 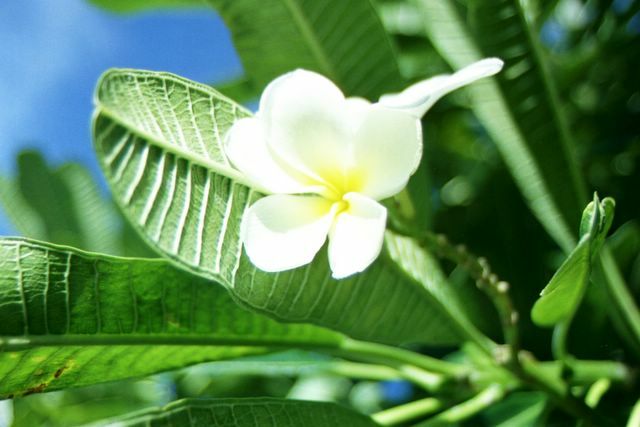 Hana is a Japanese, Hawaiian and Hebrew name meaning flower, blossom, graceful, and merciful. It is also an Arabic name meaning happiness or bliss. In addition to the Japanese, Hawaiian, Hebrew, and Arabic meanings, Hana means #1 in Korean. It's a great name, especially since it's the name of my daughter!